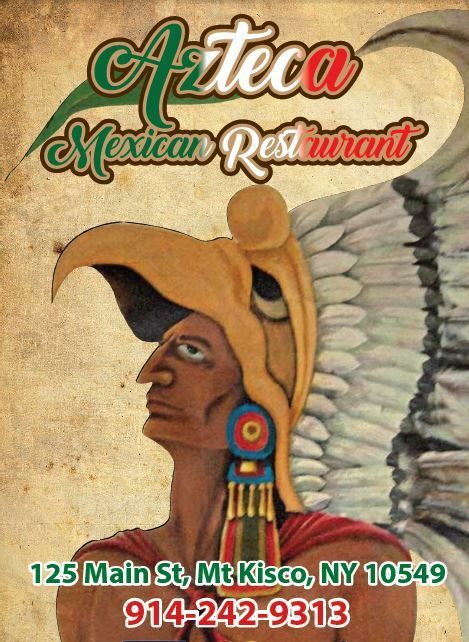 When you want spicy, delicious Mexican Food in Mt Kisco, NY, come to Azteca! We have been serving the community for many years. We offer a wide array of traditional cuisine at our restaurant, Mexican restaurant, Mexican Food, full service bar and much more. We pride ourselves on the excellent service we provide to our customers and our affordable rates. Our food is prepared with the freshest ingredients, from our classic favorites to our brand new creative varieties, we have something for everyone. Hungry for delicious burritos, spicy enchiladas and a icy cold margarita, call on Azteca! in Mt Kisco, NY, we look forward to serving you. Azteca © All Rights Reserved.